Donald Trump needs to be Impeached by the House of Representatives for crimes against the United States, both mundane and Treason. as expanded by the Foreign Gifts and Decorations Act of 1966, which enumerates several elected positions in its definition of “employees” who may not accept any gift of more than minimal value without congressional approval. Such “employees” include the President and the Vice President, a Member of Congress, and the spouses and dependents of the same. Has refused to sever himself from his for-profit businesses, many of which receive direct payments or other in-kind benefits from or are located in countries openly or subtly hostile to the United States, amounting to bribery, and a probable violation of the Emoluments Clause as expanded by the Foreign Gifts and Decorations Act of 1966. Prior to taking office, there is the very strong and real probability that he or those working for him actively colluded with the Russian government to ensure via active cyber fraud and sabotage that Trump would “win” the 2016 election. Trump has often called into question the legitimacy, time and cost of the multiple investigations of this. Only one of which claims to have found nothing, and that one was a highly biased partisan panel that adjourned before the few opposing side could bring up evidence. The Mueller Special Prosecutor investigation, after only 14 months, this one investigation has already secured 5 guilty pleas and more than 20 additional indictments against persons foreign and domestic as well as several foreign companies that were used for cover. This is more sooner than any Special Investigation since Watergate. Taken individually, some of these can be overlooked or seen as mere incompetence or mental incapacity. Taken together, though, a pattern of willful action against the interests of the United States can be seen. Thus, Donald J Trump needs to be removed from office on impeachment for, and conviction of, treason, bribery, or other high crimes and misdemeanors. Alone, I am but a single voice calling out. Calling out for others to hear, for others to listen to my song. Each of us alone, we are each but a single voice calling out to be heard, for others to listen to our songs. Alone, I sing my own tune. Each of us, alone, sing each our own tunes. Alone together, though our songs be the same, the tunes clash and are discordant. There is no choir. Slowly, as each of us sings, we also listen. We hear that the songs are the same, but different parts. Some sing melody, some sing bass. Some sing tenor, others sing soprano. Still others just listen, listen and yearn to join, but the choir is not yet. Slowly, as each if us sings, and listens, we join together. Some who sing melody adjust to match each other, others adjust to compliment. Those who sing bass or tenor or soprano or baritone or alto adjust to each other and harmonize with the other parts. And still, others just listen, listen and learn because they want to join. The choir is becoming. Alone, each of us alone, we are each but a single voice calling out. Together, we are many voices calling out. Calling out for others to hear, for others to listen to our singular song. Our singular song with many parts in harmony. The choir is. On this Fourth of July, in the year 2018, celebrating the 242nd Anniversary of the American Declaration Of Independence from an oppressive government that disregarded the wants and needs of its American citizens, it is well worth it to contemplate Patriotism. 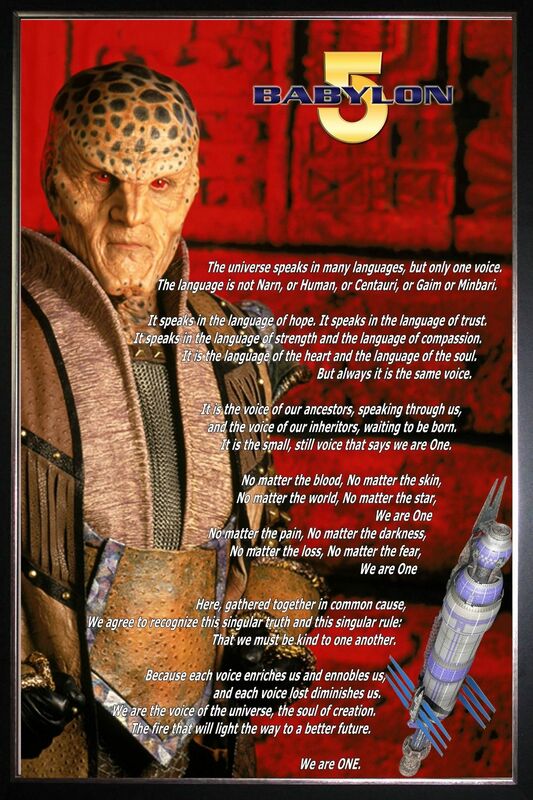 Note that it does not say love or devotion to the current government, or to any elected official. In fact, it can be, and often has been, argued that Patriotism demands holding the government to task for what they do and what they fail to do. If they really thought that, then by their own definitions, these people have shown a complete lack of patriotism when Barak Obama was President. Because Patriotism is loyalty to the country, not to any specific person, if the person in high office is acting in a way that is detrimental to the country, it is therefore a patriotic duty to hold them responsible. It is therefore a patriotic duty to dissent. It is a patriotic duty to resist. Loyalty to the person is in fact incompatible with patriotism, because you are putting the person above the country regardless of what that person is doing to the country. I could go on and on, but as I said, this is only a partial list. The United States Constitution, including all 27 Amendments, effects all persons within the borders of the United States including territories and possessions regardless of their legal status or how they got here. This includes all rights, privileges, and obligations. Donald Trump is shredding the United States Constitution. He is now advocating depriving “undocumented immigrants” their due-process rights as guaranteed by the US Constitution. Then there is this one, from May: The Trump Organization, owned and still operated by Donald Trump and his children who are also employees of Donald Trump as “Advisers”, has stated that they are not going to bother to separate out moneys taken in from foreign business interests, in clear violation of the Emoluments Clause of the US Constitution which prohibits government employees from the acceptance of gifts, titles and money from foreign entities lest they cause or appear to cause a preference to that foreign entity over that of the United States’ interests. Why? Because it’s “not practical”. Whether hired, appointed or elected, Donald, Don Jr, Eric, Ivanka and Melania Trump are all employees of the US Government. And collectively, several of them, specifically including Donald, own, manage or hold stake in the Trump Organization. This one instance that the current regime in Washington is now harping on as an overblown response by the Democratic and otherwise Liberal side does not disprove the fact that over TWO THOUSAND children were “separated” (kidnapped, stolen) from their parents attempting to seek entry into the united states, many of whom who were trying to enter legally by seeking asylum through an official border crossing. And the recent Executive Order that Trump had previously said he could not issue to reverse his own policies, has no provision to reunite those children with their families, seeks to makes matters worse by having the Pentagon set up what amounts to concentration camps at military bases, and will in fact self-reverse on the policy in about three weeks and resume separating (kidnapping, stealing) the children again when they fail to overturn the Flores Agreement that set the 20 day limit on child detentions in the first place. The Flores Agreement is a judgement dating back to the Reagan era. Did he ever invite people who were permanently separated from their children due to school shootings? Did he ever invite people who were permanently separated from their children due to police brutality? Did he ever invite people who were permanently separated from their children due to the opiod crisis? Did he ever invite people who were permanently separated from their children due to domestic violence? Did he ever invite people who were permanently separated from their children due to inability to afford medication? 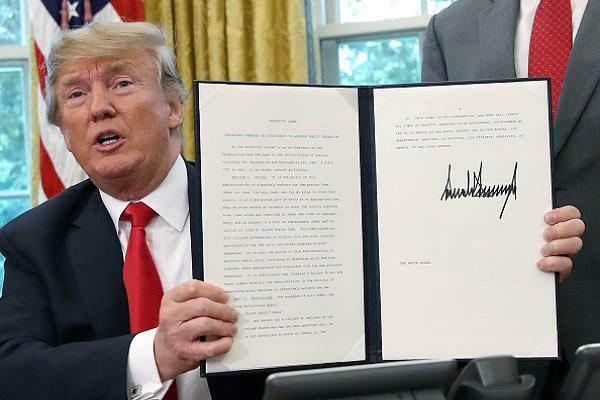 As you have probably heard by now, to much fanfare, President Trump has signed an Executive Order reversing his own policy of separating children from their families when crossing the border from Mexico. This is insufficient. The EO was actually drafted by DHS Secretary Kirstjen Nielsen. Families arrested from now on will be kept together in so-called “Detention Centers”. At first, similar to the ones currently housing over 2000 children. The EO directs the Department of Homeland Security to contract with the Pentagon to start holding these families on military bases. And there are no plans to re-unite families already separarted. There are no plans to re-unite families already separated. Nation wide protests and demonstrations against the family separation policy are still happening. If you were planning on attending one, keep that plan. If you have a Senator or Congressperson who has not committed to supporting an existing bill or to write one to make a law to fix this, call or write them. 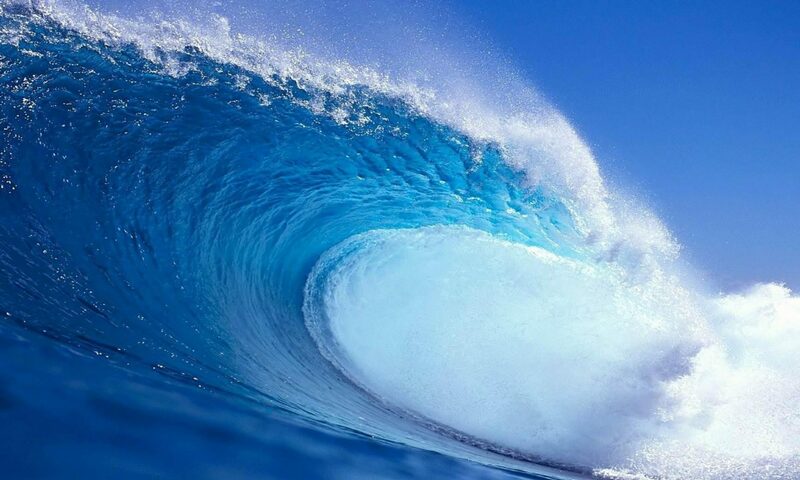 Here in Maine, that would be Republican Senator Susan Collins and Republican Congressman (CD2) Bruce Poliquin – Independant Senator Angus King has already signed on to Senator Finestein’s bill, and Deomcratic Congresswoman Chellie Pingree has already co-sponsored the House version. Do not assume this is over, it is not. Do not become complacent. We only got this much becuase of the pressure being applied to the Senate and Congress. We MUST keep it up. You said the other day on national TV that you do not support the Administration’s policy of breaking families apart at the border. But then you did… nothing. You have no follow-through where it counts. You claim that The Keep Families Together Act written by Senator Feinstein is “too broad” and merely asked Donald Trump for more information. You are asking a known liar to lie to you, again. You repeatedly claim to be a moderate, and willing to work across the aisle, but that only appears to happen on inconsequential items. You are a senior Senator, you have clout. Use it. Work with Senator Feinstein to amend her bill or find something you want that she can support in exchange for your support here. Or work with another Democratic Senator, or Senator King, to write a different bill that better suits your sensibilities. In other words, do your job. 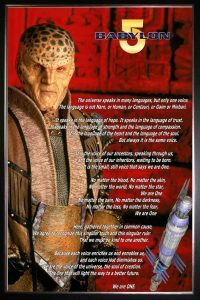 G’Kar’s Interstellar Alliance pledge from the show Babylon 5, written by J. Michael Straczynski.